The lazy hazy days of summer! The dream of every child. Here’s some ideas to prevent your child’s summer boredom, and at the same time, have fun and explore their natural creativity. 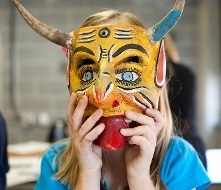 Discover Mask Making, Mon-Fri, July 18-22, 12:30 p.m. - 3:30 p.m. The history of masks began 9000 years ago and were used by many different cultures in a myriad of different ways. Students will learn mask making history and also how to sketch a two-dimensional drawing and create a 3-dimensional mask. Traditional cultural masks, animal masks and student invented masks will be produced while making new friends. Other Classes for Elementary School children include: Youth Studio for grades 1-3, Youth Studio for Grades 4-5, and The Selfie Class: Exploring Self-Portraits. 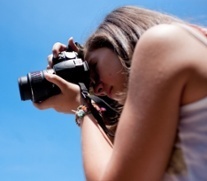 Digital Photography, Mon-Fri, August 8-12, 12:30 p.m. - 3:30 p.m.Love photography? Gain an understanding of how to control your digital SLR Camera , create eye-catching compositions, and hone your voice and vision as an artist. If you have an interest in photography as a career or hobby, this class is for you. Small class sizes allow the instructor to tailor the class to meet your needs, no experiences required. Other classes for Middle Schoolers include Young Artist Academy, Cartooning, Photoshop, Painting and Printmaking. 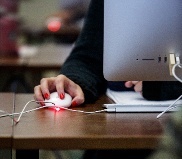 Intro to 3D Computer Animation, Mon-Fri, July 11-22, 9 a.m. - 12 p.m. Learn to produce short animations. Students will learn the basics of 3D modelling and fundamentals of animation to tell a story with simple objects. The course will cover classic animation techniques such as the bouncing ball exercise, as well as building a scene in 3D using the Autodesk Maya software. No previous experience required. Here's six reasons to nuture your child's creativity this summer! Blogging for Business, Tues/Thurs, July 12 - August 11. 6 p.m. - 9 p.m. Blogging is one of the most important aspects of how a business markets itself on the web. Instructor Ken Mueller will address all areas of blogging from choice of platform to creating content. Included will be best practices on blogging, how to build a strong community around your blog, and how to use your blog as a way of driving traffic to your website and business. Whether you have already been blogging or need guidance on starting, this class will help connect the dots. No prior experience necessary. Drawing in Limited Color, Wednesday, July 13 - August 10, 6 p.m. - 9 p.m. In this course, Evan Kitson, leads his student to explore various aspects of drawing in color. Students will work in limited color through the platform of the still-life: navigating hue, value, chroma, temperature, line, and edge quality. Limited color palette strategies dealing with gesture, proportion, and perspective will also be demonstrated and emphasized, as well as a comprehensive material discussion covering chalks, colored pencils, and toned paper surfaces including hand-toned paper with watercolor. 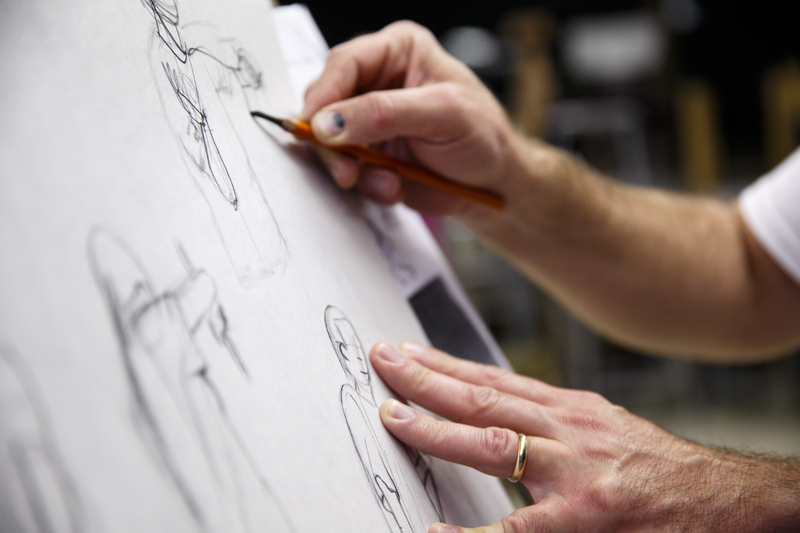 Summer is the perfect time to unleash your creative potential. Join PCA&D, the region’s leader in art and design education, and elevate your conceptual thinking, making, and design skills to new levels during our summer schedule of classes for children, teens, and adults. Weekday daytime classes are perfect for school age students, and our weeknight classes are convenient for working professionals. Register now!